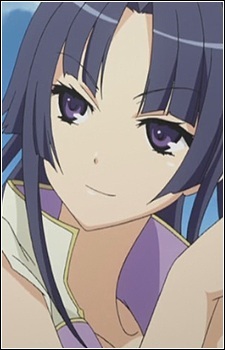 Nicknamed Momo-chan-senpai, she is disciplinary committee member of Otogi High School. She is a bisexual and will sometimes make suggestive passes at Ryōko, whilst using her 'dumplings' to get assistance from naive boys. She is based on the titular character from the Japanese tale Momotarō, and is often accompanied by a trio of students whose names and appearances are based on the Monkey, Dog and Pheasant that accompany Momotaro on his journeys.